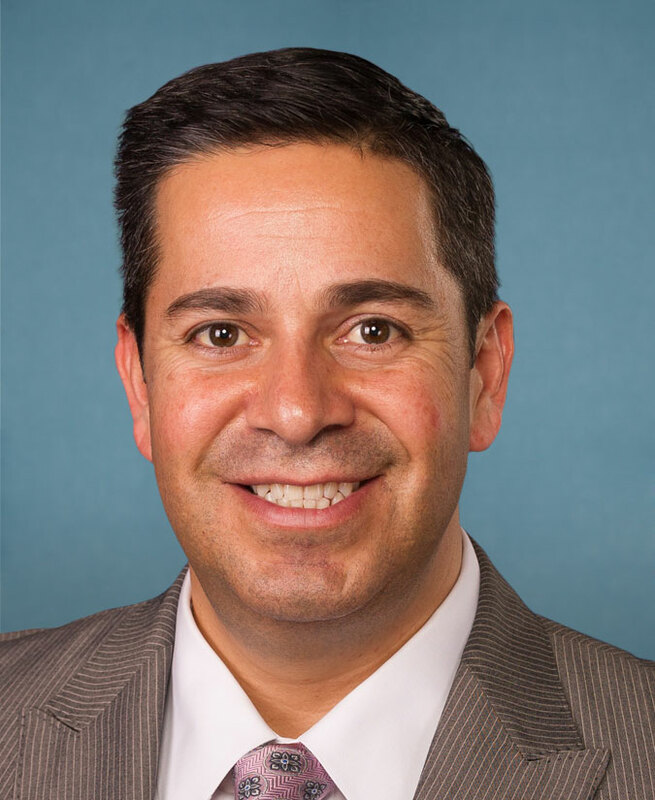 Rio Rancho, NM- Protest ABQ will be protesting Congressman Ben Ray Luján at his Congressional office in Rio Rancho, New Mexico during his speech at the Democratic National Convention Wednesday night. New Mexican’s will no longer tolerate politicians that claim to be Christian but are radically pro-abortion! 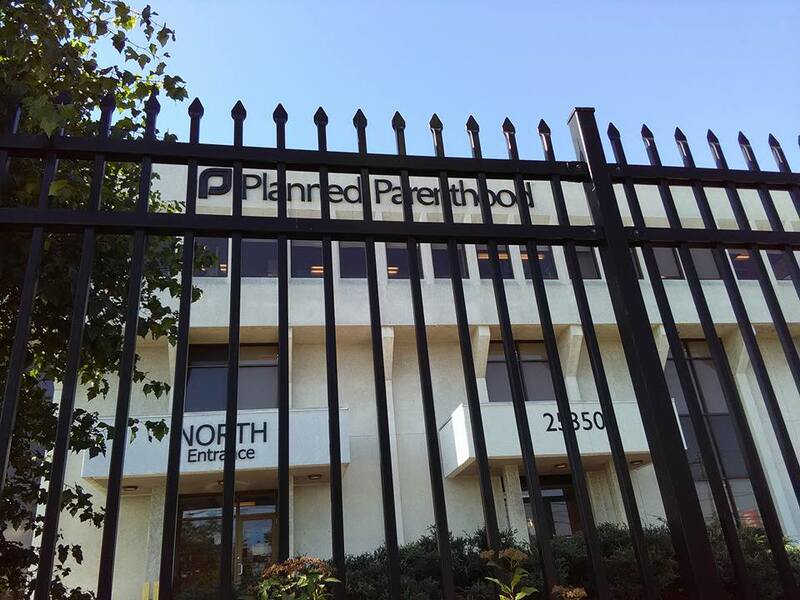 As the Democratic party moves more and more to the left and embraces regressive policies hostile to religious liberties and free speech, they also represent the biggest obstacle to overturning Roe vs. Wade. While the RNC just ratified the most pro-life party platform EVER…the DNC just ratified the most radical pro-abortion party platform EVER! 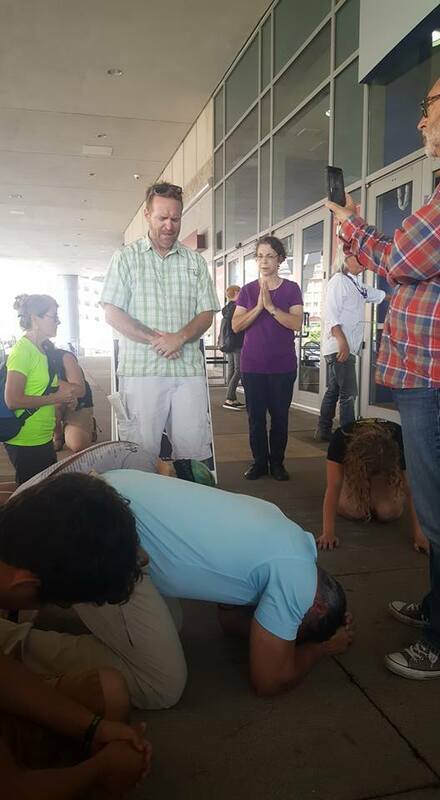 The line drawn in the sand has never been more defined and as a faith community Protest ABQ is sending a strong message that pledging allegiance to a political party instead of acting according to one’s faith is unacceptable. Governor Susana Martinez’s Political Star Has Burned Out! Albuquerque, NM- Recently the Albuquerque Journal ran an article pointing out how the political fortunes of New Mexico Governor Susana Martinez have taken a downturn in the last 4 years. Indeed, 4 years ago, Governor Martinez was a bright star in the Republican party as the first female latina governor. She still is the head of the Republican Governor’s Association, but clearly she does not have the political profile she enjoyed even a year or two ago. 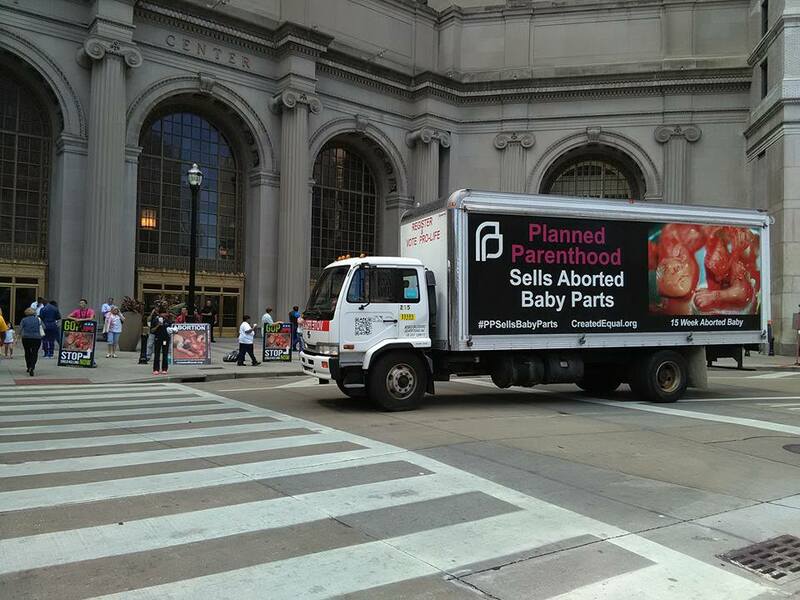 See Cosmopolitan article here: Are Anti-Abortion Activists Determined to Topple Their Pro-Life Governor? 1. Governor Martinez put her national political aspirations before the needs of the good people of New Mexico. It has been clear for the last several years, maybe for as long as she has been Governor, that Martinez has been advised by her handlers to avoid the hot button social issues, in particular, abortion. She followed this advice in spite of the reality that New Mexico has, for as many years, had the reputation of being the “Abortion Capital of the Southwest” and the “Late Term Abortion Capital of the Country.” Even pro-abortion advocates proudly call New Mexico the least restrictive, most woman and abortion friendly state in the country. A little over one year ago, a young woman came to Southwestern Women’s Options in Albuquerque from the United Kingdom to abort her child 32 weeks into her pregnancy. And indeed she did. Just months ago, a woman from Texas came to Albuquerque to abort her twins 35 weeks into her pregnancy, a double abortion that Southwestern Women’s Options was more than willing to perform for tens of thousands of dollars. Thank God she went home and delivered the twins less than 2 weeks later. 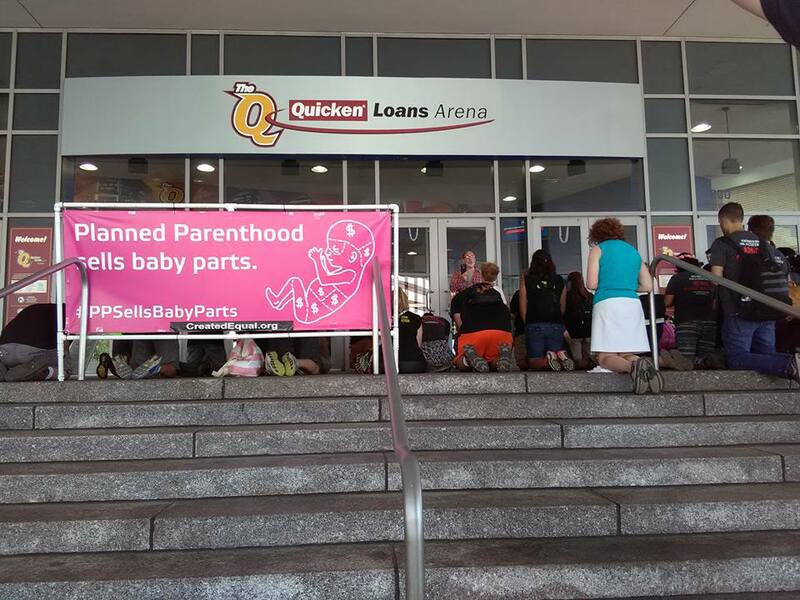 Investigations by the Center for Medical Progress and LiveAction have exposed heinous activities by Planned Parenthood. 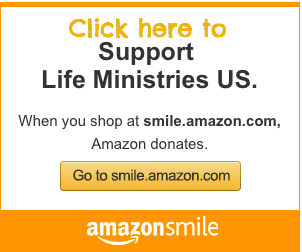 Most recently taxpayer funded University of New Mexico and Southwestern Women’s Options have come under scrutiny for various activities by the US Congressional Select Committee on Infant Lives which was spurred on by information provided by national pro-life groups; Operation Rescue, LiveAction, ProtestABQ, and NMAFL. 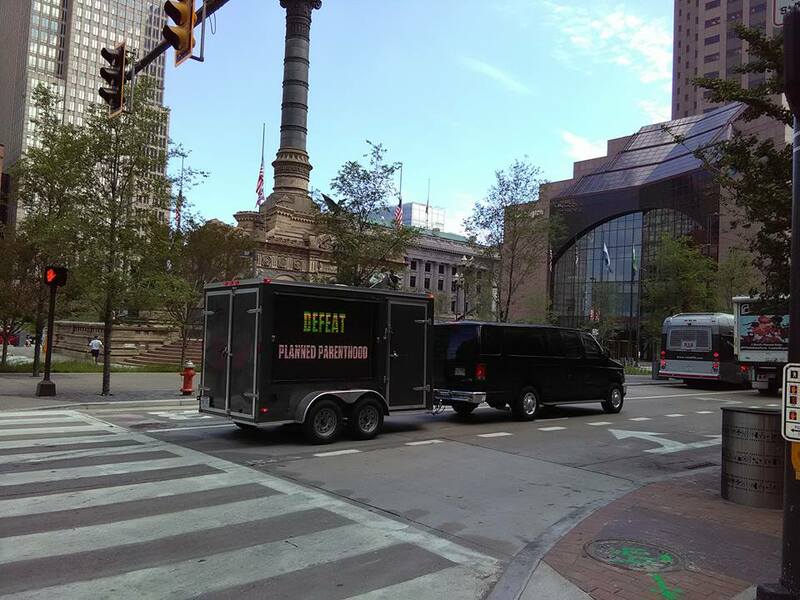 What has prompted such silence, inaction, and half heartedness on the Governor’s part? Clearly, it has been her penchant to follow bad advice related to her aspirations for higher, national offices. Her lack of focus and concern for the issues facing the people of New Mexico caused her to make poor political choices. Her most glaring, long term failing has been her silence and being completely dormant regarding New Mexico’s abortion problem. This has cost her not only any reputation she may have had as being pro-life, but has exposed her nationally as being weak and lacking any leadership on the issue of pre-born baby killing. New Mexico still has the same abortion reputation as it did 7 years ago, the only difference is that Governor Martinez has lost any credibility nationally on social issues, particularly abortion. The last three governors of New Mexico have clearly had higher political aspirations while they were in office. Gary Johnson is now the national standard bearer of the Libertarian Party. Bill Richardson always maintained a high national profile especially with the Clintons. 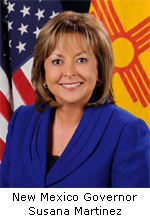 Likewise, Governor Martinez believed she could also achieve long-term national prominence as New Mexico Governor. The significant problem in all of this is that NM has been and remains near the top of just about every “worst list” in categories related to economics, quality of life (especially for children), crime, and education. Again, New Mexico has always had its reputation for abortion. No effective pro-life, abortion restricting legislation has passed in decades in New Mexico in spite of the fact that every surrounding state has had significant success in these areas. How do these New Mexico governors, particularly “Silent Susana,” think their records deserve national recognition? The people have finally caught on. Future candidates for governor of New Mexico take heed! The days are over when the people of New Mexico are going to tolerate a governor who has their eyes, heart, and mind elsewhere. I, for one (and I know many others) am dedicated to insuring that any future gubernatorial candidate is focused on the problems of our state and I for one (and there are many others) believe and am convinced that problem number one is the unbridled, unfettered, unregulated, tax-funded pre-born baby killing cartel in this state that attracts clients here from all over the country and the world. 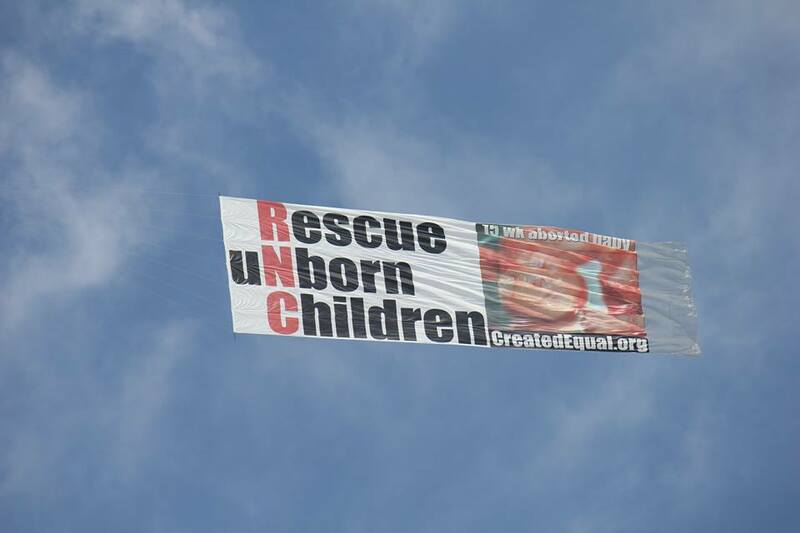 Abortion has been and is one of New Mexico’s cottage industries. The reality is, though, that “abortion is bad business” for New Mexico. Any future candidate for governor is going to have to forthrightly declare that they understand the serious and sorry reputation we have relative to pre-born child killing and then clearly delineate how they intend to change this unacceptable and deplorable situation. The most prominent names being brought up as candidates for governor is Catholic Democrat Attorney General Hector Balderas and self proclaimed pro-life Republicans Lt Governor John Sanchez and Albuquerque Mayor RJ Berry. I expect (and so do many others) that any Catholic running for Governor will abide by their Catholic faith which states that every procured abortion is inherently evil. Someone like Balderas cannot declare themselves Catholic, support abortion and expect to get elected. 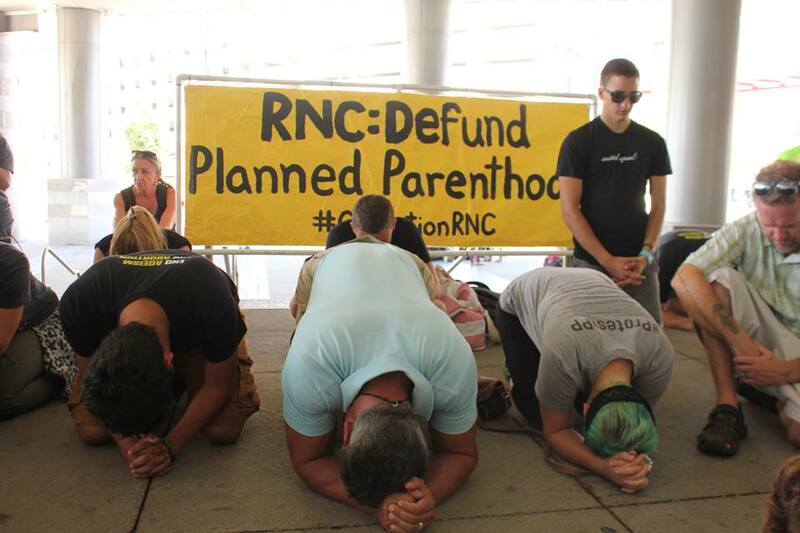 As for “self proclaimed pro-life” candidates? The days are over in New Mexico where words without actions suffice. Catholic and pro-life candidates must declare their pro-life policies; what legislation they intend to support and what executive and administrative actions they plan to take. I (and many, many others) will accept nothing less. Governor Martinez’s effective term has almost expired and her political career seems to be gasping for air. 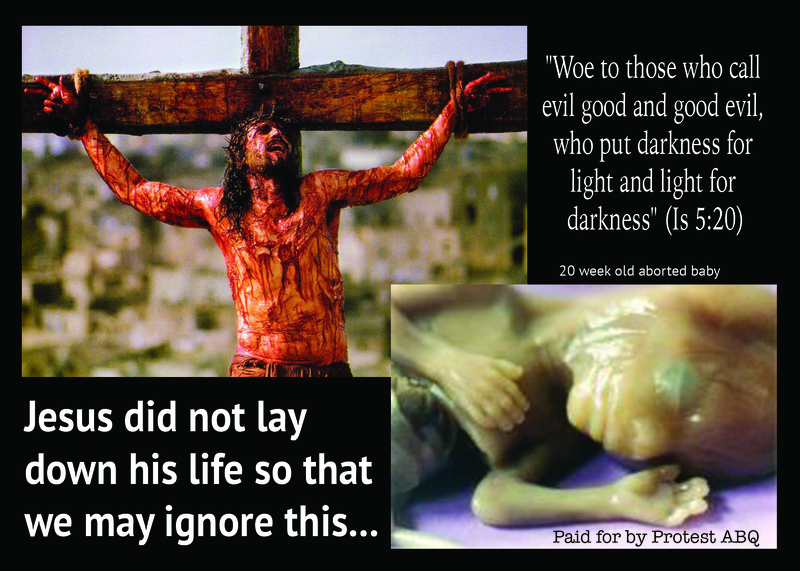 New Mexico cannot afford another “Silent Susana.” As Abel’s blood cried out from the earth for justice, so does the blood of the aborted pre-born babies of New Mexico cry out for justice. 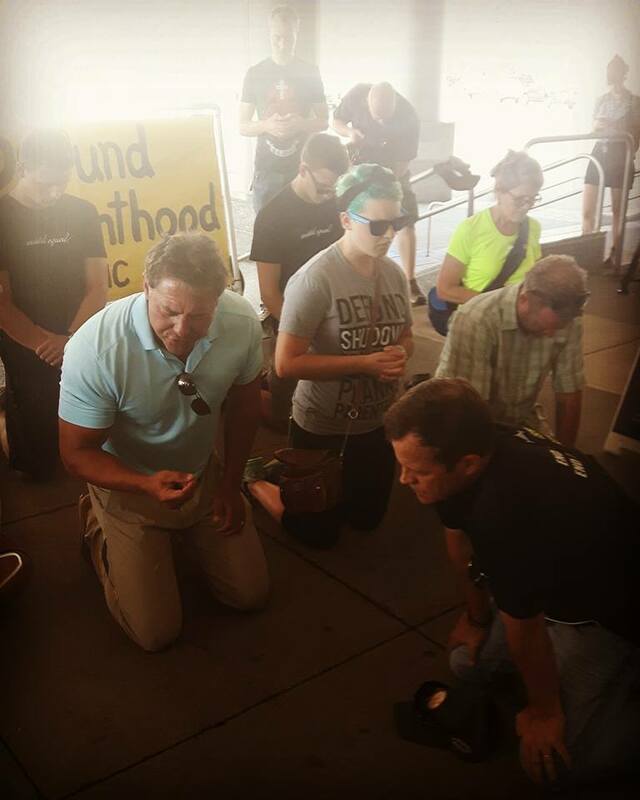 We want a governor who cares about the pre-born babies of New Mexico (and the many, many women being wounded). The next governor will have to care about ending New Mexico’s reputation of “late term abortion capital of the country” and will have do something about changing that reputation. RELATED: GOP Vice Presidential Hopeful: Is New Mexico Gov. 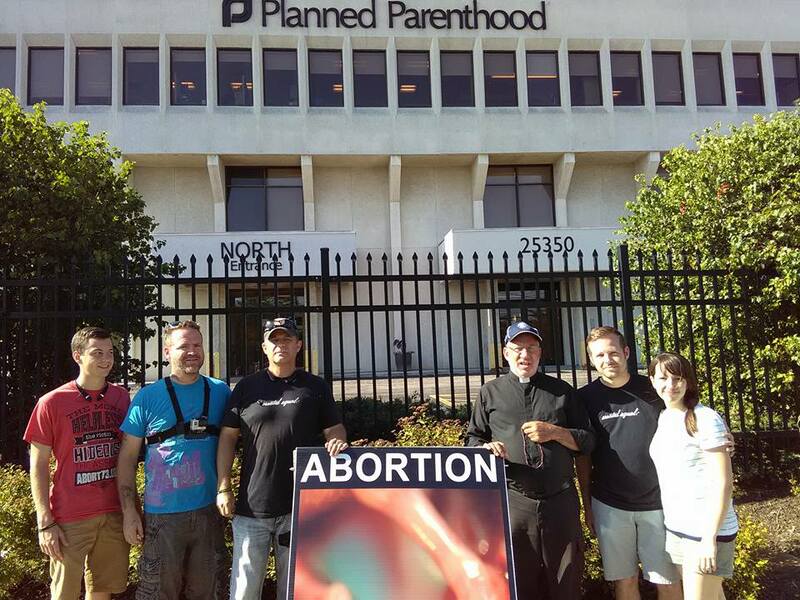 Martinez a Pro-life Hero or Zero? 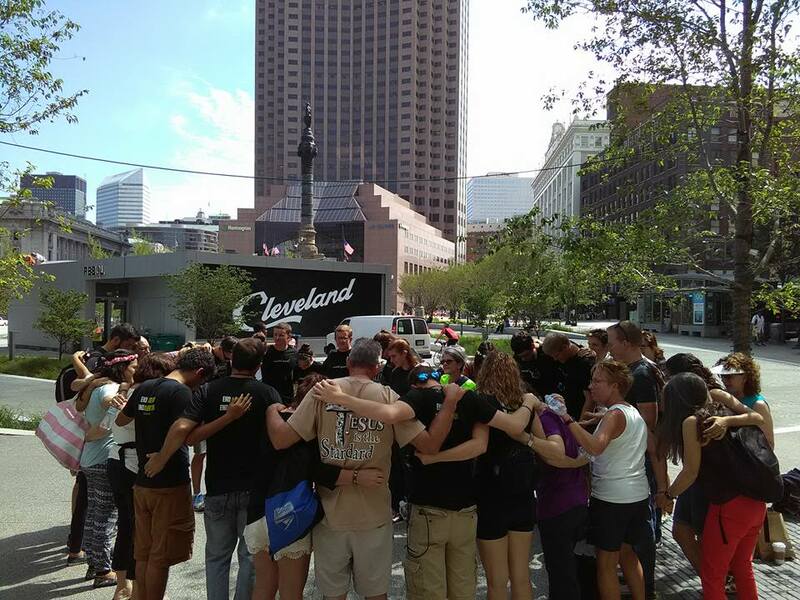 Cleveland, OH- Protest ABQ joined a coalition of the nations leading pro-life activist organizations led by Created Equal for #OperationRNC which included: Operation Rescue, Survivors of the Abortion Holocaust, Citizens for A Pro-Life Society, Rev. Mahoney and Fr. 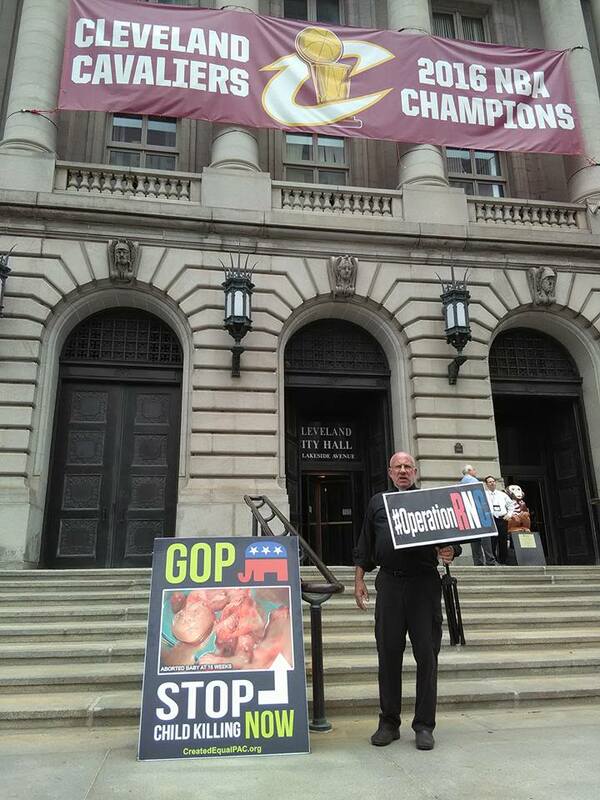 Stephen Imbarrato: The Protest Priest of Priests for Life in Cleveland, Ohio (July 13-15) for the run-up to the Republican National Convention (RNC). 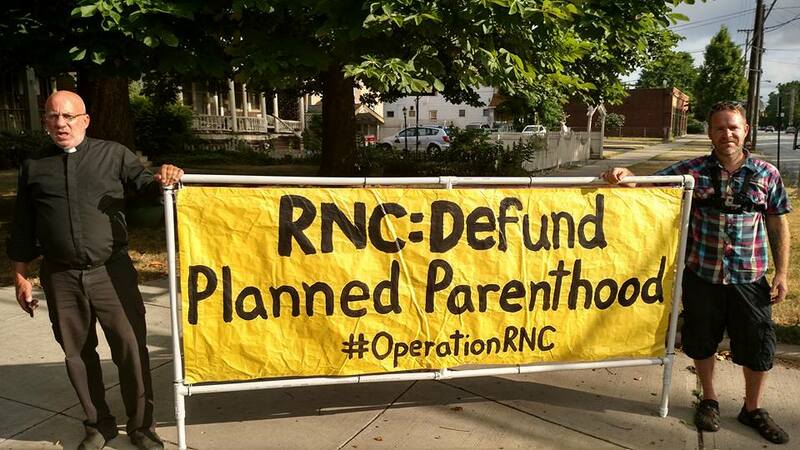 The goal of #OperationRNC was to demand that the RNC address defunding Planned Parenthood in the GOP party platform. 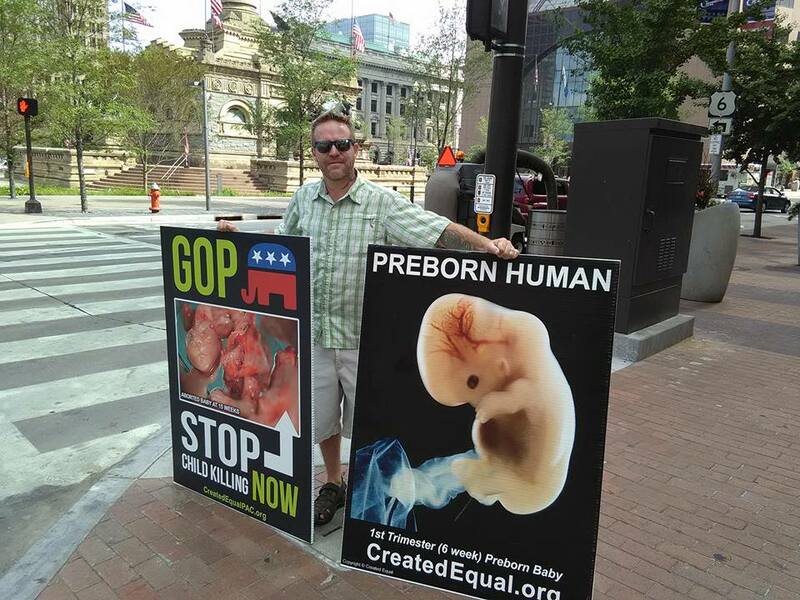 In addition #OperationRNC was a public awareness campaign which included public prayer and several events designed to raise awareness of the injustice of abortion. 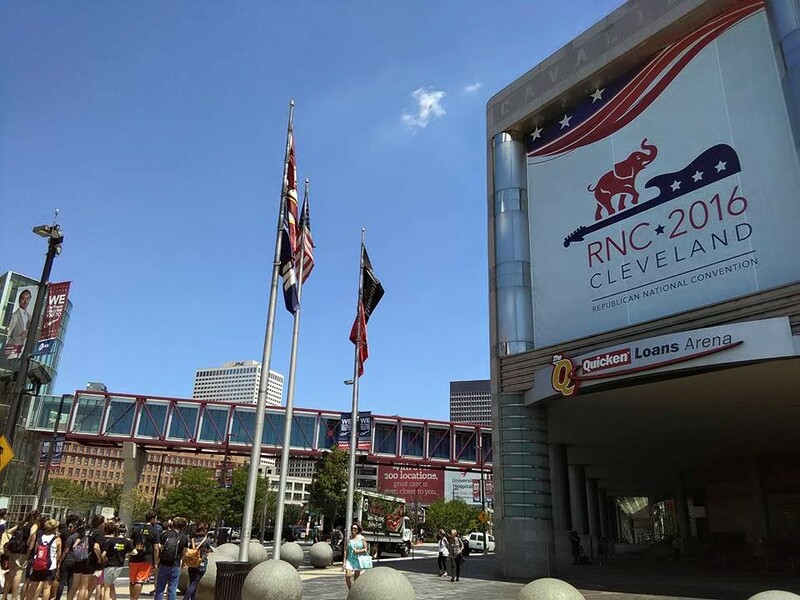 Be sure to scroll to the end to read about the Republican platform which was adopted as a result of #OperationRNC…which is the most pro-life platform EVER ratified by ANY party! 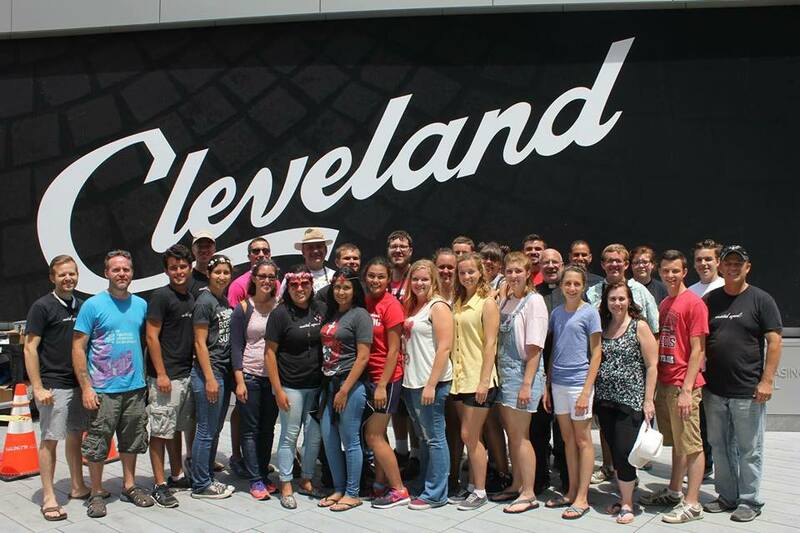 #OperationRNC at the gates of hell…where a baby was SAVED! “The Constitution’s guarantee that no one can ‘be deprived of life, liberty or property’ deliberately echoes the Declaration of Independence’s proclamation that ‘all’ are ‘endowed by their Creator’ with the inalienable right to life. 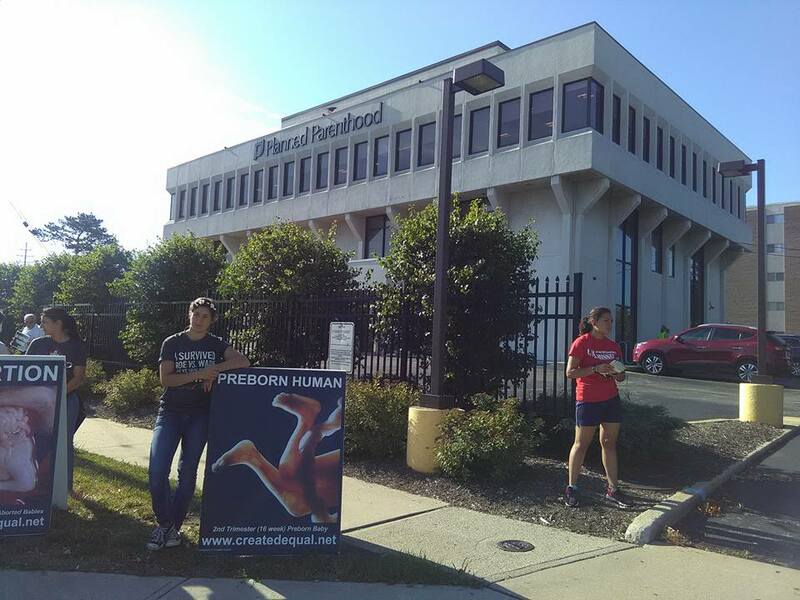 Accordingly, we assert the sanctity of human life and affirm that the unborn child has a fundamental right to life which cannot be infringed. We support a human life amendment to the Constitution and legislation to make clear that the Fourteenth Amendment’s protections apply to children before birth.